Gun violence • Speakers urge audience to continue to push for meaningful firearms restrictions. Leah Hogsten | The Salt Lake Tribune William Horne, Kennedy Burt and other singers of the International Childrens Choir sing "Gone Before Noon" during the service in memoriam of those who lost their lives during the Sandy Hook Elementary school shooting. Gunsense, a Salt Lake City-based community organization dedicated to stemming the epidemic of gun violence, held an interdenominational memorial service December 14, 2013, marking the one-year anniversary of the Sandy Hook Elementary school shooting in Newtown, Conn. exactly one year ago. Leah Hogsten | The Salt Lake Tribune Many in the crowd of the interdenominational memorial service wept for victims of the Sandy Hook Elementary school shooting in Newtown, Conn. exactly one year ago. Gunsense, a Salt Lake City-based community organization dedicated to stemming the epidemic of gun violence, held an interdenominational memorial service December 14, 2013, marking the one-year anniversary of the Sandy Hook Elementary school shooting in Newtown, Conn. exactly one year ago. Leah Hogsten | The Salt Lake Tribune Judy Smith, left, and many in the congregation openly wept for victims of the Sandy Hook Elementary school shooting in Newtown, Conn. exactly one year ago. Gunsense, a Salt Lake City-based community organization dedicated to stemming the epidemic of gun violence, held an interdenominational memorial serviceon Saturday, marking the one-year anniversary of the tragedy. Leah Hogsten | The Salt Lake Tribune Ronald Molen ,(center) whose son Steven was killed by gun violence, lights candels for victims of the Sandy Hook Elementary school shooting in Newtown, Conn. exactly one year ago. Gunsense, a Salt Lake City-based community organization dedicated to stemming the epidemic of gun violence, held an interdenominational memorial service December 14, 2013, marking the one-year anniversary of the Sandy Hook Elementary school shooting in Newtown, Conn. exactly one year ago. The massacre at Sandy Hook Elementary one year ago should remain an open wound so that Americans aren&apos;t lulled into thinking it won&apos;t happen again. That is the sentiment Episcopal Bishop Scott Hayashi expressed at a Saturday memorial honoring the 20 children, ages 6 and 7, who were gunned down along with six educators in Newtown, Conn., on Dec. 14, 2012. 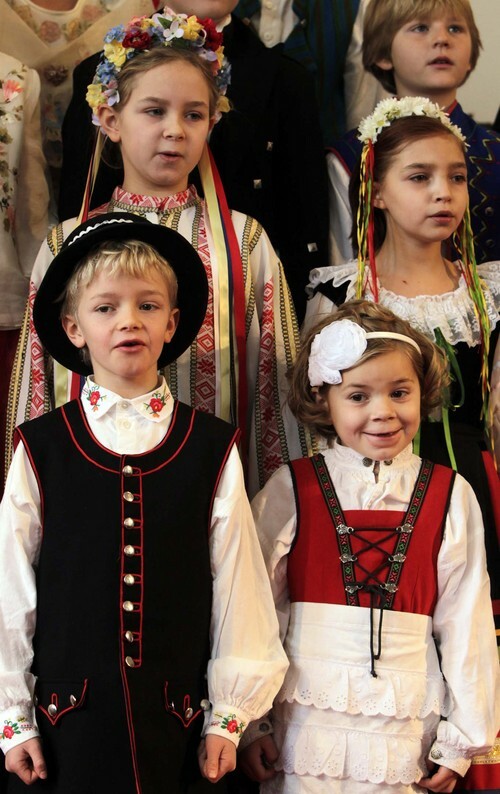 They were killed by 20-year-old Adam Lanza, who had a history of mental and emotional problems. Lanza had killed his mother, Nancy Lanza, earlier that morning before driving to the elementary school with a semiautomatic assault rifle. As police arrived, he killed himself. "You and I, for the sake of all people, must continue to be outraged," Hayashi told an audience of about three dozen at Salt Lake City&apos;s First Unitarian Church. "If we lose that, we will lose the energy to move forward to make the changes that need to be made." There are more than 300 million guns in the hands of American civilians  more than half of all the small arms in the world, Sven Haynes, of the anti gun violence organization Gunsense, told the small gathering. The $12 billion-a-year firearms industry spends millions annually convincing legislators and the public that using guns is not only a right but a duty, he said. "All those guns don&apos;t make us safer," Haynes said. "All those guns lead to 32,000 deaths annually." Each of the Sandy Hook victims was hit with at least three bullets, he said. Since then, there has been no meaningful legislation restricting semi-automatic weapons or enhancing background checks. Haynes recalled Sandy Hook victim Noah Pozner, 6, who was shot 11 times. His mother, Veronique Pozner, insisted that her son have an open casket, even though his jaw had been blown off. Haynes quoted her, saying, "I owed it to him as his mother," adding she didn&apos;t want people to think "these little angels just went to heaven. No. They were butchered." Photos of each victim were placed around the small chapel. 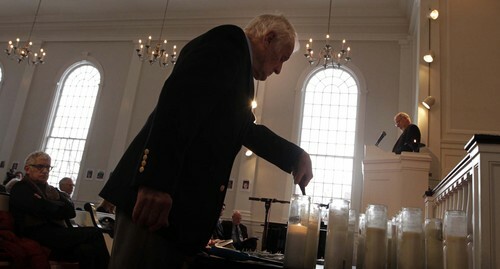 Ron Molen, who lost a son to gun violence, lighted a candle for each one, as their names were called out by the Rev. Tom Goldsmith of the First Unitarian Church. "Running on a playground, jumping with rope/ Wild imaginations, promises and hopes/ Reaching out to all they knew, inspiration beyond our view/ Here&apos;s to their lives, laughter lost too soon/ They came in the morning and were gone before noon." Goldsmith told the gathering that "it is important that we break away from business as usual ... to remember the loss of these children ... and to remember the sacred gift of life. "The holidays are less about glitter," he said. "And more about holding each other more closely." And although only three dozen attended the memorial, Hayashi reminded them that they could make a difference. "There aren&apos;t a lot of us here this morning," the Episcopal bishop said. "I look at that and say, &apos;Well, Jesus only had 12.&apos; "